In her first solo exhibition in Shanghai, South Korean artist Kim Eunjin raises questions about how we treat our plant, and also looks at the joy of living in the present. South Korean super-realism artist Kim Eunjin is raising questions about life and death in her first solo exhibition in Shanghai, featuring major works from her “Remaining Time” and “Portraits” series. In “Remaining Time,” Kim focuses on ecological issues and the impact of pollution on human and animal life. Influenced by Buddhist philosophy, Kim also highlights the connection between the present and the past to explain the circle of life in this universe. Despite of the heavy and serious subjects, Kim’s paintings are colorful, showcasing her unique sense of humor and desire for a healthy life. In contrast to the more serious “Remaining Time,” “Portraits” brings the joy of living in the present. Kim’s great imagination and discovery and interpretation of life, alongside her special drawing skills — with their bold and vibrant colors — offers viewers an extraordinary visual experience in art. 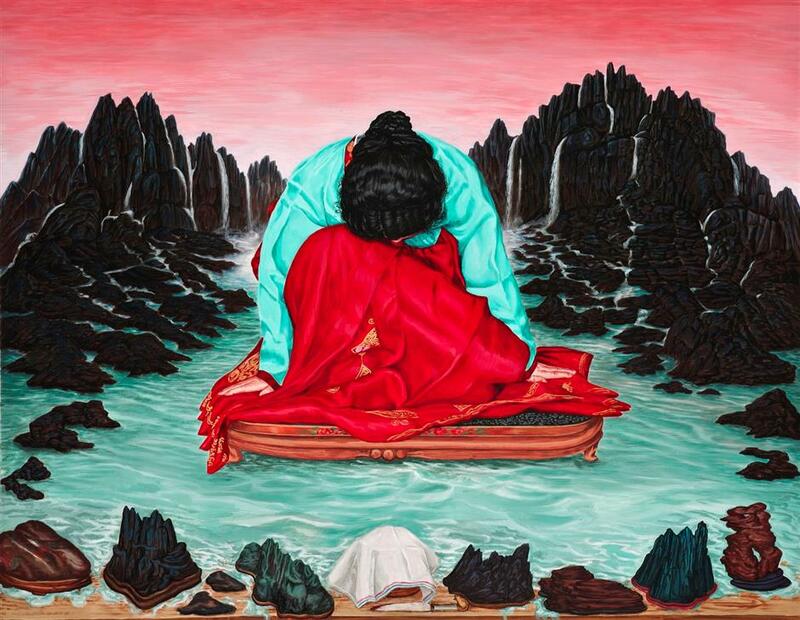 Apart from the visuals, Kim’s art also stirs our other senses such as smell, touch and hearing. It leads viewers to feel deeply through the questions it poses about our lives in our time.